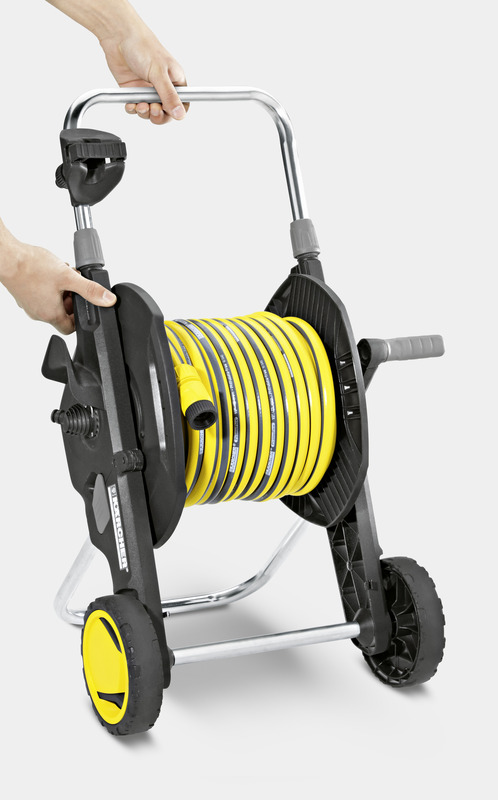 HT 4500 Hose Trolley 26451700 https://www.kaercher.com/ie/home-garden/watering-systems/hose-storage-and-hose-trolley/ht-4500-hose-trolley-26451700.html The Kärcher HT 4500 hose trolley simplifies garden watering with features like a height adjustable handle for easy transportation and angled hose connectors to prevent the hose from kinking. 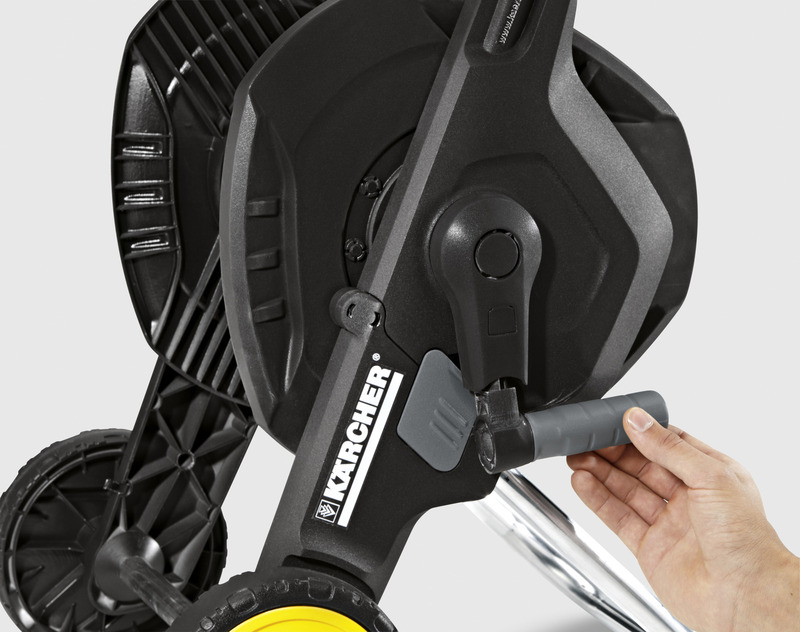 The Kärcher HT 4500 hose trolley simplifies garden watering with features like a height adjustable handle for easy transportation and angled hose connectors to prevent the hose from kinking. 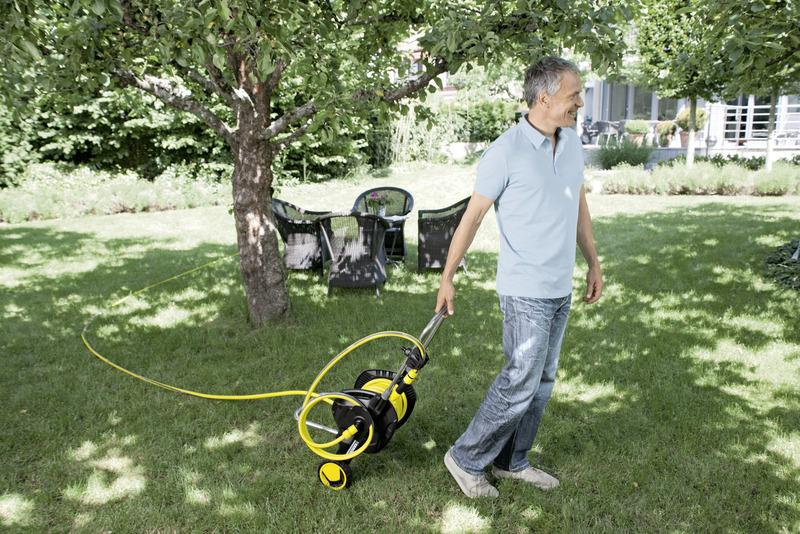 Perfect for watering and maintaining medium to large sized gardens, the HT 4500 hose trolley is always ready and easy to transport, keeping your hose clear of garden beds, planters and outdoor furniture. 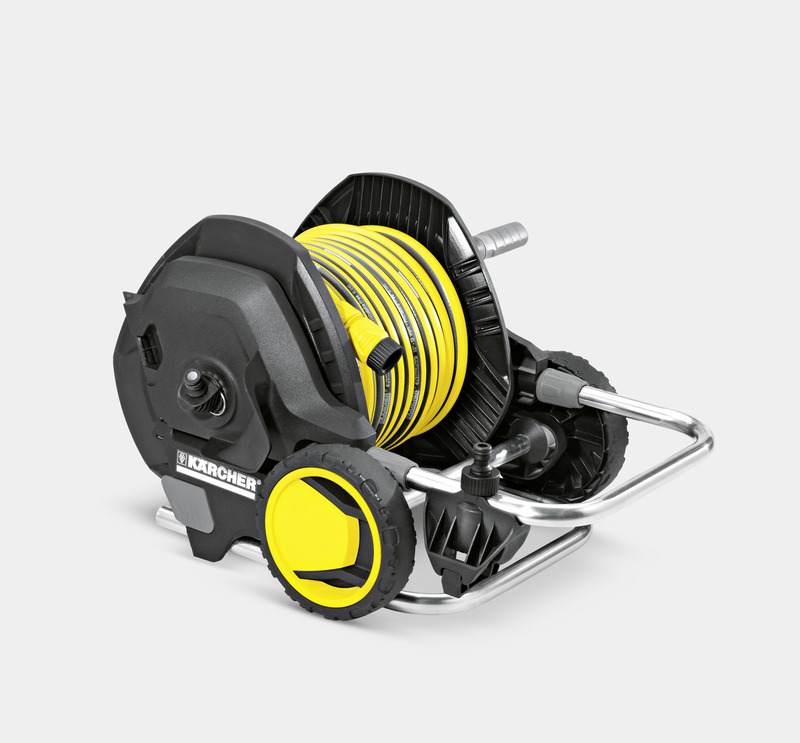 Designed to simplify your gardening needs, the HT 4500 features a handy accessory holder to store spray lances and guns plus stowing hooks for short hoses. 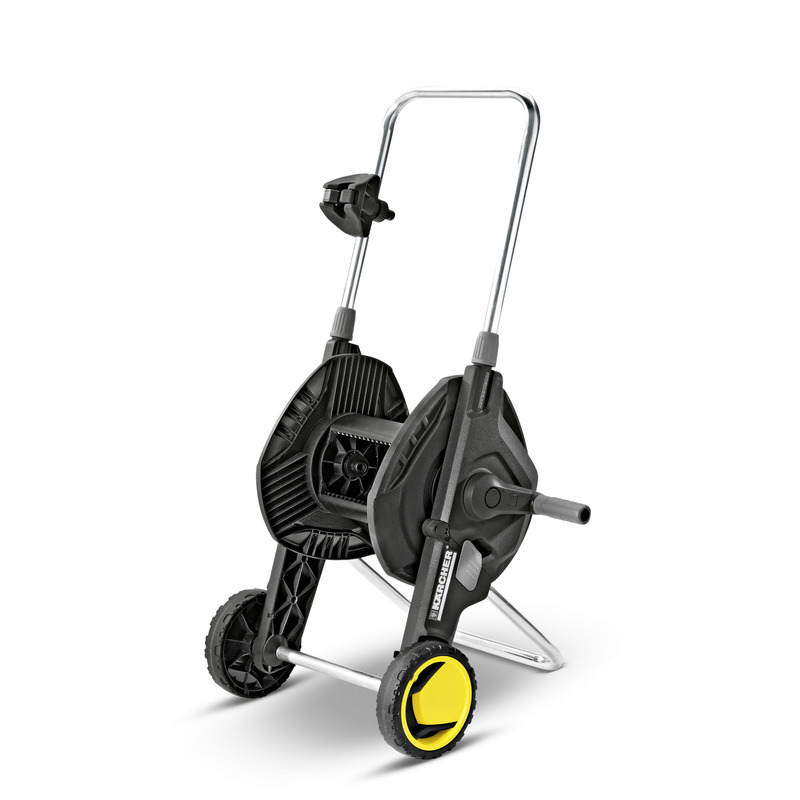 With features like a height adjustable handle and capacity to store 20m ¾” to 50m ½” hoses, the Kärcher HT 4500 trolley not only keeps your hoses tidy and reduces clutter but can be easily stored in a variety spaces due to its folding design. HT 4500 Hose Trolley is rated 2.0 out of 5 by 3. Rated 1 out of 5 by Grach from Imposible to wind hose broke connector Imposible to wind hose, broke hose connector after third atempt. Rated 1 out of 5 by IndiNanna from Unstable, difficult to wind the hose on neatly Bought this trolley to hold a 50m Karcher 1/2 inch hose. After several attempts, 2 adults managed to wind the hose onto the reel: one holding the trolley down and winding the reel (probably need physio to fix the pulled muscles) and the other feeding the hose. With the 50m hose in place, the trolley is very heavy and difficult to manoeuvre. Not what I was hoping for at all. Rated 4 out of 5 by P J M from Nice tidy hose ttolly This is a nice tidy hose trolly but it took a bit of an effort to get it to accomadate the 50mts of hose I had.